Bypolls were held in two wards of Satna district. Polling was held for Amar Patan City Council and Nagaud City Council on January 17. Bhopal, Jan 20: Counting of votes took place for Madhya Pradesh Municipal Council Bye-Elections 2018 today. Counting began at 8 am. 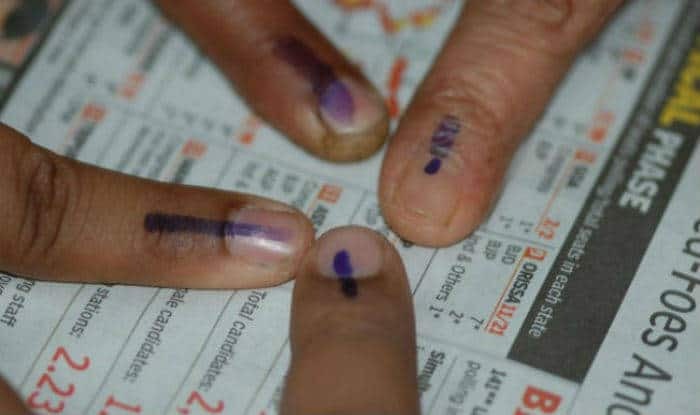 Bypolls were held in two wards of Satna district. Polling was held for Amar Patan City Council and Nagaud City Council on January 17. A voter turnout of 67.3 per cent was recorded. Congress has taken lead in Nagaud City Council. Radha Kushwaha of Congress is leading here. BJP has won Amar Patan Ward 3. BJP’s Ramsiya Kol wins bypoll in Amar Patan Ward 3 of Satna district. While the Amar Patan City Council Bypoll recorded 68 per cent voter turnout, the Nagaud City Council Bypoll recorded 66.5 per cent voting. Meanwhile, voting was held for 20 civic bodies (Nagar Palika Parishads and Nagar Parishads) in 10 districts on January 17. A total voter turnout of 69.08 per cent was recorded. Voting was also held for 51 Panchayats in Madhya Pradesh with 55 per cent voting recorded. These elections are being said to be a semi final of the Madhya Pradesh Assembly Elections with the Congress and the Bharatiya Janata Party (BJP) going all out to campaign. While the BJP currently rules 13 out of the 20 bodies that went to polls, Congress holds 7. Madhya Pradesh Chief Minister Shivraj Singh Chouhan and Congress leader Jyotiraditya Scindia were seen campaigning aggressively for the local body elections in the state. Later next month, bye-elections will also be held for two Assembly seats in Madhya Pradesh.